2 free taster sessions on the 9th and 10th of September. The new season is fast approaching and our annual free beginner sessions will be one the 9th of September at Bishop Fox's School (8:30-10 pm) and another on the 10th of September at The Blackbrook pavilion (8-9:30 pm). Pre-season starts on the 20th of August for returning players. 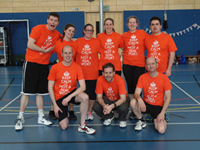 If you're interested in playing a new sport, want to get fit or just meet new people then why not come along? The first 2 sessions are free, so why not come along and try a new sport? 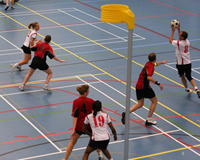 Use the contact us page or the about korfball page for more information.